Simply the best brakes for Allroad bikes with wide tires. More stopping power for braking in the rain or during emergencies. Better modulation for braking deep into turns and on slippery surfaces without the risk of locking up a wheel. Superlight weight is an added benefit. Sold individually, to give you a maximum of flexibility when spec’ing your bike. 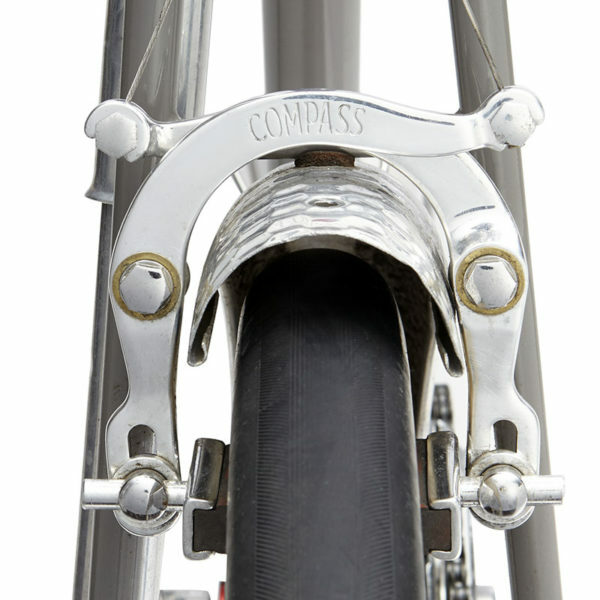 Requires Compass centerpull braze-ons to mount the brake. Each brake comes with all required hardware, a straddle cable roller, and Kool-Stop salmon-colored brake pads. Includes one set of standard and one set of angled washers to set toe-in. Please select standard brake bolts or bolts for a front rack. Made in Taiwan and USA. 10 year warranty. The brakes require mounting posts that are brazed onto the frame. The posts are not included, but available separately. These brakes do not fit on posts for cantilever brakes. Sold as a single brake (for one wheel). Also available in a Rinko version.